Chemists, information managers, cheminformaticians and other scientists in hundreds of companies, government institutions and universities trust Reaxys for answers to chemistry questions. In leading research and education establishments, Reaxys innovations are recognized and appreciated as the right responses to the needs of the scientific community. Because we understand the importance of making chemistry information accessible, Reaxys is designed to deliver data and literature quickly to every user in the way they need it. Discover what our customers think of Reaxys in their own words. Pharmaceutical companies use data and literature from Reaxys to drive drug development success and efficiency. 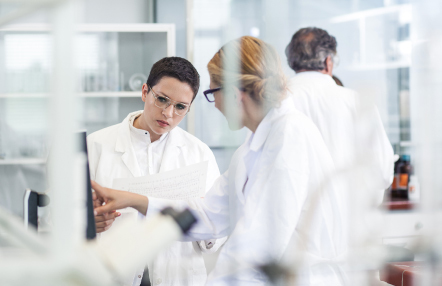 Reaxys helps chemists and pharmacologists to identify the most promising lead compounds to advance to preclinical trials and design the most efficient ways to synthesize them. Easy access to high-quality data from patents and articles helps the researchers at Epigen Biosciences to study and understand structure–activity relationships and synthesis routes. It saves them time and helps avoid unnecessary optimization steps. Co-founder and COO Dr. Fabio Tucci explains why he and his team choose Reaxys for their research. Chemicals companies use data and literature from Reaxys to drive efficient, cost-effective and green chemistry projects. Reaxys helps chemists to develop and improve chemicals by supporting synthesis optimization and the identification of desirable chemical properties in intermediate and end products. 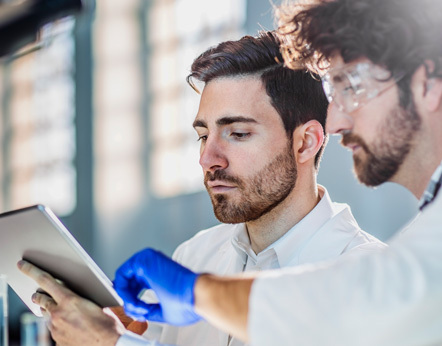 Gregory Martin, Director of Business Development at a contract research organization wanted to minimize his lab’s R&D timeline for a new project. His goal was to drive revenue by quickly identifying potential solutions and determining the most profitable way to charge the client. Reaxys helps educational institutions develop outstanding future chemists by making it easier for faculty and students to access and explore chemistry literature and data, while building modern chemistry information retrieval skills. Professor Forest Robertson believes that young chemists should be taught to use research solutions like Reaxys early in their careers. He says it doesn't just improve their chemistry literacy: it also shows them smarter ways to do research. In an interview with Elsevier, he explained specific exercises that he uses to teach students to get the most out of Reaxys. Dr. Bel Mekonnen, CEO of Hager Biosciences, explains why he finds Reaxys perfect for the medicinal chemistry and synthesis data essential to lead compound development.